I can’t believe it’s been a year since my time in Italy. I’ve been missing it a lot lately, and the recent invasion of my kitchen by Italian cooking can prove it. What better way to fill the void than with Italian food?! No matter how many times I make bruschetta, I nearly always have a food-gasm on the first bite. If you are thinking, “Really? Bruschetta? The red stuff they give you with chips as an appetizer at bar/grill-type restaurants?”, then keep reading. 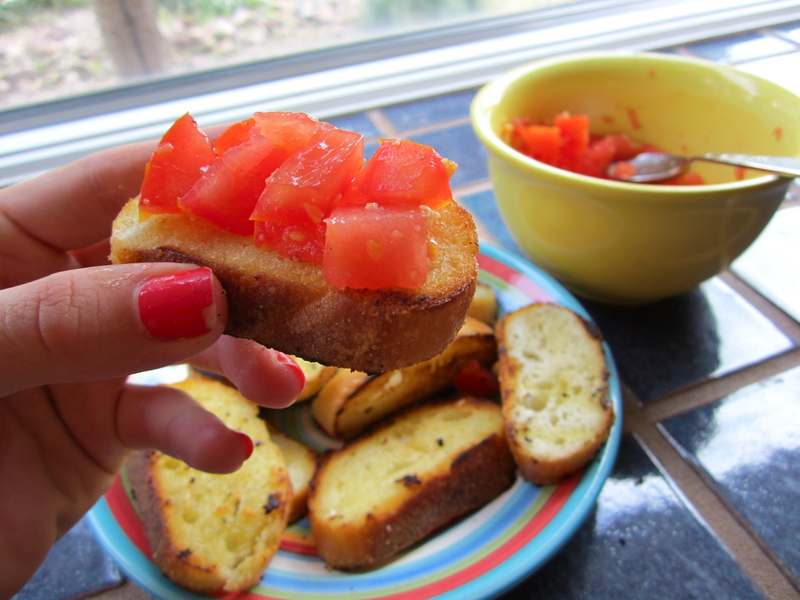 Good and authentic bruschetta is fresh, juicy, chewy goodness you can eat for an appetizer, a meal, or a snack.